Lifting off for my vacation I flew over the Chesapeake Bay. We’d had another rainstorm. 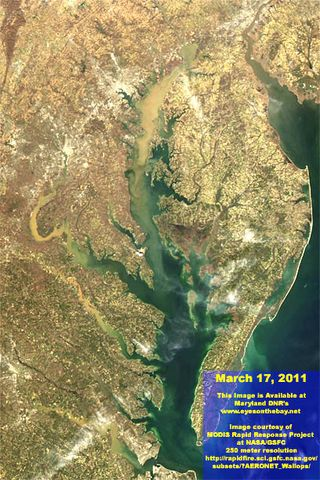 The brown sediment washing into the Bay, covering marshes and oyster beds, was obvious from the air. The satellite views that NASA has been showing us, I now saw for myself. Since the 1970’s, suburbanization with its impervious roofs, driveways, and lawns has significantly contributed to the dying of our beloved Bay. As my plane landed in Miami for my transfer flight I saw the same thing, miles of high-rise hotels and brown sediment stretching into the ocean. People were swimming, oblivious to the habitat degradation caused by the impervious surfaces of the hotels and roads because they had never seen it when it was pristine, clear, and full of life. My second flight, south from Miami, flew over stretches of undisturbed coastline with lovely clear water. Descending into my destination, the skyscraper skyline of Panama City, there it was again, miles of brown sediment stretching out into the ocean. 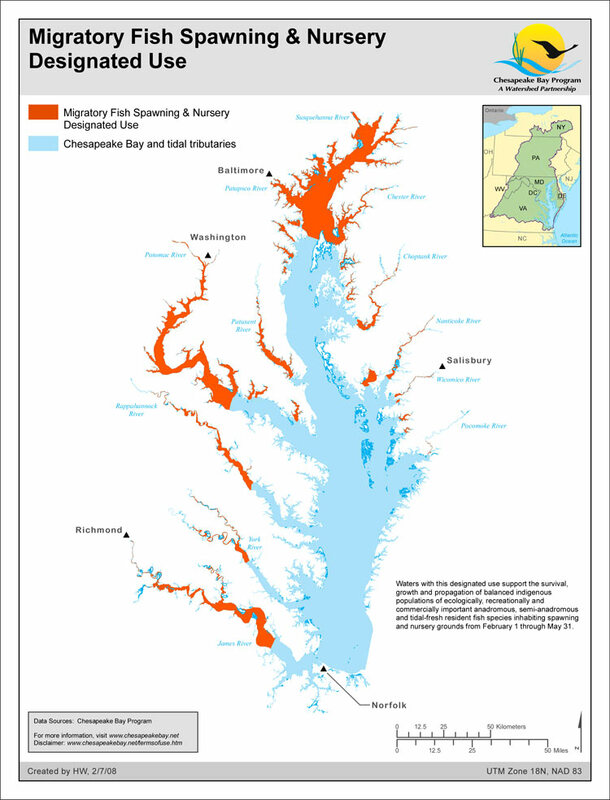 The difference is that our Chesapeake Bay is an enclosed nursery ground for early life stages of many migratory species, such as menhaden, shad, sea trout and striped bass. The eggs, larvae and juvenile stages of migratory fish are very sensitive to habitat quality. Once we loose the nursery, we loose the fish, a food resource, and part of the biodiversity that might see us through the upcoming climate changes. Compare the two maps. One shows the nursery ground for migratory fish, the other is a NASA photo of rainfall sedimentation. Note the close association. Isn’t it time we all got serious and took steps to save the Bay. Each of us could install a raingarden and reduce our sediment contribution? Local municipalities and home owner groups, such as the Columbia Association, are making it easy for us with their cost sharing programs. Reach and find out what resources are available to you. By nedtillman2 in Backyards, Calls to action, Oceans, Uncategorized on October 15, 2014 .